Search Results for "school bus driving"
The drone follows a school bus driving through Cape May, New Jersey. The bus drives on a road directly next to the beach. 1970s: People at table, man on phone. Panning shot, people carry man on stretcher into building. Zoom in on sign. Pan of school bus driving. Static shot mounted on the side of a school bus driving through the Pennsylvania countryside. 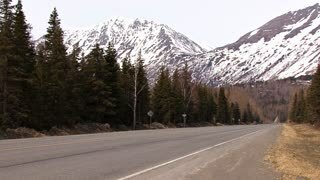 High angle view of traditional american yellow school bus driving on empty highway road on white background with copy space. Back to school concept minimalist 3D animation. School Bus drives through a School Zone. UNITED STATES- CIRCA 1950: School bus drives down suburban street, young children sit in seats. Atomic flash prompts them to duck behind seats. Pimped out old blue school bus driving through the city. Aerial top down view of traditional american yellow school bus driving on empty asphalt road isolated on white background with space for text. Minimalist 3D animation. Aerial view of traditional american yellow school bus driving on empty highway road on white background with copy space. Back to school concept loopable 3D animation. High angle view of traditional american yellow school bus driving on empty asphalt road on white background with copy space. Back to school concept minimalist 3D animation. Rural school bus driving into Southern California desert sunrise. UNITED STATES 1970s: Children walking toward school buses / School bus driving away. UNITED STATES 1970s: Children getting on school bus / Bus driving away. Yellow school bus with children driving in rain. Animation with flat design. 1930s School Bus and flat bed truck both unrestored from Junkyard driving down the lane. UNITED STATES LATE 1970s - Traffic on a minor highway, a line of cars and a school bus sit at a stoplight, a fast paced montage of different cars driving on major roads.